After WWII the need for a more modernized deck scow, or barge, was recognized by the various railroads serving the New York Harbor area. The General Managers of these railroads came together to form the "General Managers Association" (or GMA) in early 1951 and arrived upon standardized barge dimensions and design. These barges began to come off the Staten Island Yard Bethlehem Steel assembly line in late 1951. 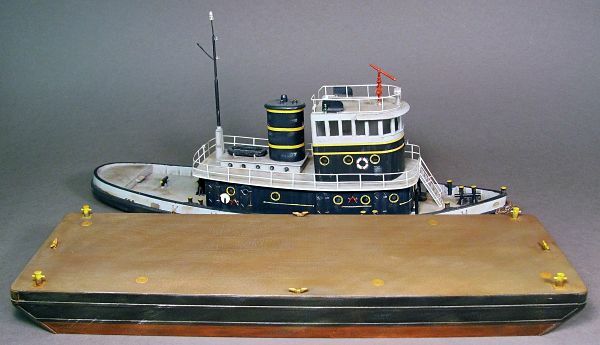 Many hundreds of these barges were produced over the next few years to replace the aging wooden barge fleets that the railroads required to maintain their operations. 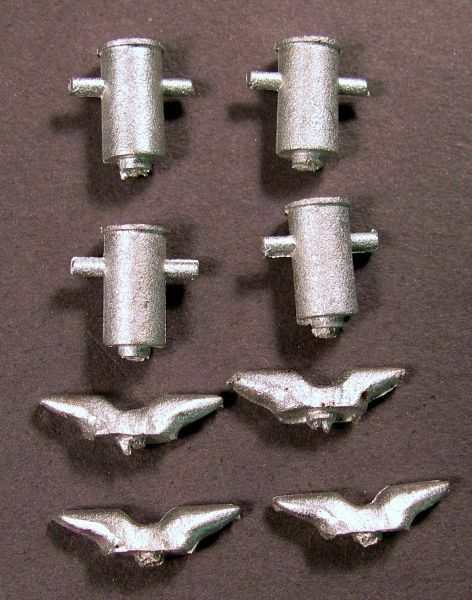 This kit consists of a one piece resin hull and lead-free pewter bitts and cleats. Intricately detailed down to the diamond plate welded decking. 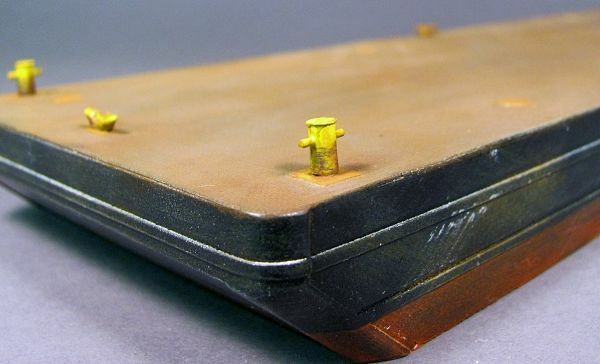 The hull height offered allows you to model an empty scow due to the taller hull height. 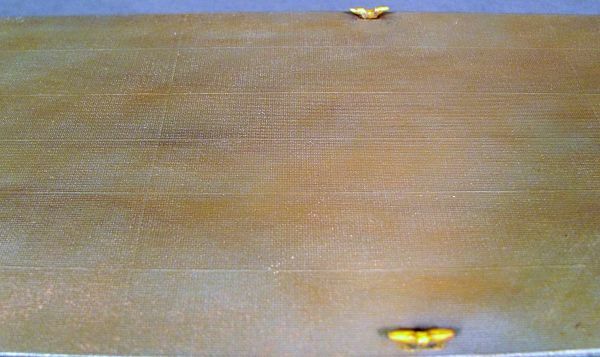 Actual model dimensions are 12 3/8" x 4 1/8"
Looks great in multiple scales! *this listing is for the full hull, "empty" barge. Please see below for the "loaded" height hull. 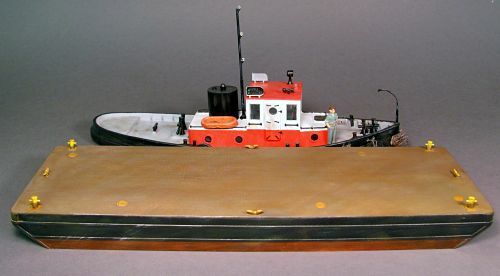 This barge is a great stand alone kit, or purchase one of our add on kits to give it a different look and function. See below for details.